THE BRIDGE There are 4 products. 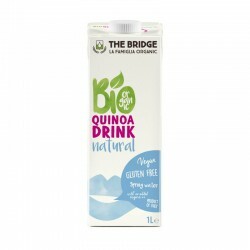 This drink is an organic quinoa and rice –based drink as substitute for dairy and soya milk, produced with an exclusive, patented process. It contains no added sugars. It is naturally sweet. 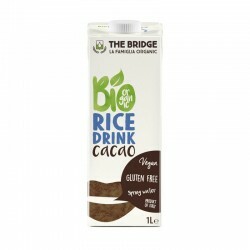 It is made exclusively with organic decorticated soybeans grown in Italy, 100% vegetable and without added sugar. 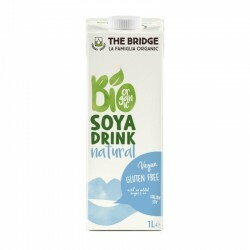 Soya drink brings a considerable quantity of proteins of good biological value, while the composition of fats, mainly polyunsaturated, and the lack of lactose. A completely vegetable drink, issued from organically grown Italian rice, of pleasant taste and excellent digestibility. It is naturally sweet without added sugar.